Rooms from $113.05 per night. Description This Augusta, Georgia hotel has an outdoor pool. Complimentary Wi-Fi an outdoor pool and Southern charm are a few of the sweet touches at the non-smoking Partridge Inn August Curio Collection by Hilton. 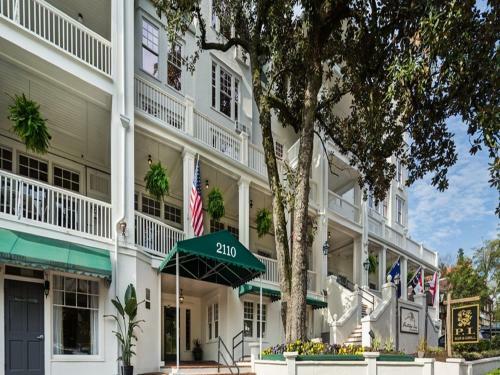 Built in 1836 the six-story Partridge Inn Augusta Curio Collection by Hilton adorns 145 rooms with high ceilings antique furnishings plush bedding mini-fridges coffeemakers mp3 docks flat-panel HDTVs and free Wi-Fi; some have balconies and kitchens. A business center and a 24-hour fitness room are available. Enjoy Southern hospitality over breakfast lunch and dinner in the in-house restaurant. Libations and live music kick things off in the lounge. Guests can fit in a refreshing swim in the seasonal outdoor pool and take in sweet views from wrap-around verandas. On-site parking is free. The Partridge Inn lies two miles from the Augusta Canal Interpretive Center and within five miles of I-520. Downtown Augusta borders the Savannah River within three miles and houses gems including the Riverwalk Augusta the James Brown Arena and the Boyhood Home of President Woodrow Wilson. Augusta Regional Airport is 10 miles from the hotel. 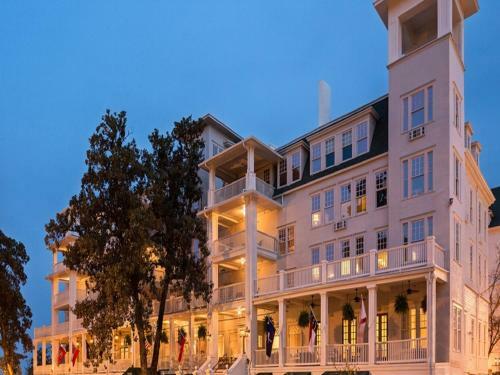 Add The Partridge Inn Augusta Curio Collection By Hilton to your free online travel itinerary.